On the Sunday 12 November last year, hemp was legalised in Australia for human consumption. Health experts have been singing the praises of hemp protein and hemp food for years, but this plant tends to be a little misunderstood. In actual fact, hemp seed oil has been used as a food or medicine in China for over 3000 years! So don’t think this superfood is just another ‘flavour of the month’. According to Hemp Foods Australia, hemp is exceptionally rich in healthy fats, protein and various minerals. Hemp also boasts high amounts of soluble and insoluble fiber, which may benefit digestive health. Whole hemp seeds also contain more than 30 per cent healthy fats and are exceptionally rich in Omega 3, which is key for optimum brain function, growth and development. A diet rich in Omega 3 has also been shown to contribute to reducing inflammation, heart disease, blood pressure and depression. In short? It’s a superfood you need to start paying attention to. Hemp seeds are said to be the second highest source of whole vegetable protein, containing all 21 essential amino acids rich in Omega 3. In fact, hemp contains more protein than both chia seeds and flaxseeds! So if you’re looking for an all-natural alternative to your go-to whey protein, look no further. If you’re not keen on hemp protein, don’t rule out hemp altogether – it can be used in a number of ways, such as added to a smoothie, salad or as a simple meal ingredient. Thanks to its mild, slightly nutty flavour, hemp can be added to almost anything, including soup stock, burgers, or nut butters. It can even be used to for baking, as hemp flour can replace some flours in recipes. 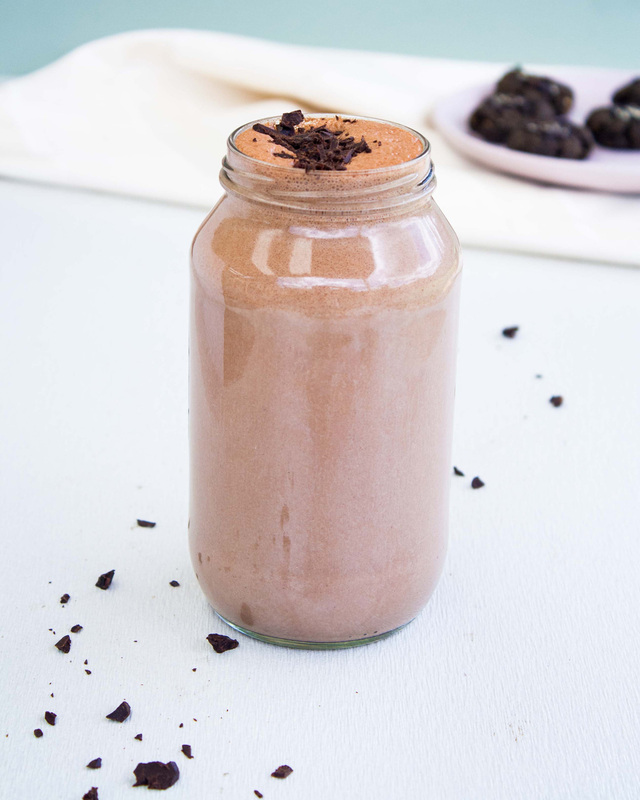 But to get you started, we’ve included a healthy smoothie recipe from Maz Valcorza for Hemp Foods Australia – and it doesn’t even require a blender! Give it a try and happy hemping beauties! 2 heaped tbsp (20g) hemp protein (bh loves: Hemp Foods Australia Hemp Protein Powder, $59.95 for 1kg, hempfoods.com.au). 1. Place all ingredients into a high-speed blender or shaker and blend on high speed or shake until well combined. 2. Pour into a glass or jar if using a blender and enjoy mindfully. You can also top it with chocolate or cacao nibs (bh loves: Nature’s Way Super Organic Cacao Nibs) for that extra bit of love. For further information about hemp and more delicious recipes visit hempfoods.com.au. Have you tried hemp or hemp protein? If I see hemp cheap I might try it. I like to try some of these super foods at least once. I am more likely to try hemp beer than eating it. I've seen hemp in the health food shops and I love that it is high in omega-3! Definitely gonna pop by and purchase some- I could top them on top of my breakfast oats! Never tried hemp but would! The health benefits sound great! Theat smoothie bowl in pic looks delish! I didn't realise that Hemp food / protein was legalised in Nov last year. The question I have is why was it illegal if it is not a drug? Was it illegal by association? I haven't seen any seeds for sale, but when I do I will be curious to try them. I too associate hemp with what I smoked as a teen. Pretty hard to think of it any other way now! I'm not a fan of anything hemp, but perhaps I haven't tried the right ones yet? Thanks for this information BH. I’d been wondering what it was good for and how to use it. I’m definitely going to incorporate this into my diet because I hate chia (tha slimy texture—blurgh!) and haven’t really been won over by flax either. Wonder what it tastes like, like the sound of the above recipe. I use a hemp moisturiser and I love it, and it smells great too. Same here! I've been searching for it near my place in Sydney, but no shop seems to have it. I have never noticed hemp in any food products. I use hemp everyday in smoothies, on porridge - whatever. So glad it is finally legal! It’s inexpensive too, especially compared to protein powder. This isn't something I would add to my diet.